The origin of the Alte Meierei lies back in 1983. 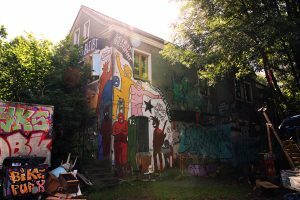 At that time the city evicted several squats on Sophienblatt and offered several legal alternative projects to the squatters. Of these old projects only the Alte Meierei remains today. 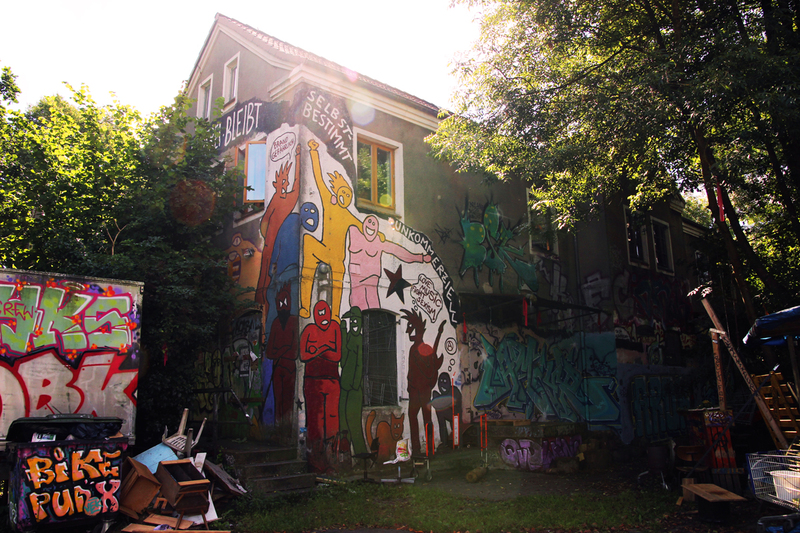 Today we look at the Meierei as a political communication and cultural center. In here a residential project is located, and there is room for non-commercial concerts, theater and other events. Bands have the opportunity to rehearse, there are workshops, political meetings and there are regular café and VoKü events. The rooms of the Alte Meierei are managed self-organized. For us this means that all (individuals and groups) who work in the Meierei-structure feel responsible for what is done here, is to be made or should not be done. Our aim here is a non-hierarchical interaction with each other. Self-organization means for us to be independent of state structures, therefore we reject funding, and do not work together with political parties. The incomes of the events are used exclusively to cover the expensives. Since having an agreement with the city from 1983, which includes an explicit cultural use, the hall is used for public events.